Gent-Wevelgem is famously a sprinter-friendly cobbled classic, but you’d be forgiven for not correctly predicting who that sprinter would be. Peter Sagan (Cannondale) looked in imperious shape heading into this race, which is usually enough for him to swat away any opposition without breaking a sweat. However, the Slovakian found himself pipped on the line by a more traditional fast finisher in John Degenkolb (Giant-Shimano), and eventually finished third behind FDJ’s Arnaud Demare. It was a fairly routine race tactically, with a main breakaway allowed to escape before being reeled in and replaced by a succession of doomed and not particularly dangerous counter-attacks. The most threatening was a group containing Andrey Amador (Movistar), Stijn Devolder (Trek) and Silvan Dillier (BMC), though the peloton successfully crushed its small advantage with just over a kilometre remaining. Then it was left up to the sprinters, with Degenkolb managing to pip Demare and Sagan to the post. He’s had an impressive season so far, having won the points classification and taken a stage win at Paris-Nice, as well as three victories at the Tour Méditerranéen. He’s certainly going to find it harder to be up near the front in the Ronde van Vlaanderen and Paris-Roubaix, though he’s shown himself capable of riding strongly over the cobbles. It’ll be interesting to see if, like Tom Boonen (Omega Pharma-Quick Step), he’s going to convert himself from a pure sprinter to a cobbled classics specialist. The sprint would have been all the more exciting had we not had a succession of crashes in the last few kilometres. Among those who hit the deck were Andre Greipel (Lotto-Belisol) and Tyler Farrar (Garmin-Sharp), who you’d otherwise expect to be in the mix at the front. They were just a couple of a long line of unfortunate fallers in a rather dangerous race. Ian Stannard (Sky) withdrew after falling into a roadside ditch – hopefully not costing the in-form Briton his spot at Flanders and Roubaix. #GW is much more dangerous than #E3H and #RVV. Less climbs and long stretches of road for peloton to regroup. Selections keep races safe. Hopefully that’ll mean we see fewer crashes when we head for Flanders’ finest next weekend. The good news is that the biggest Flanders and Roubaix favourites, Boonen and Fabian Cancellara (Trek) both stayed upright for the duration. Boonen came into this race with a thumb injury sustained in E3 Harelbeke, though his fifth place suggests it didn’t discomfort him too badly. His great classics nemesis Cancellara eventually finished outside the top ten, though was reportedly held up by a crash in the final kilometre. 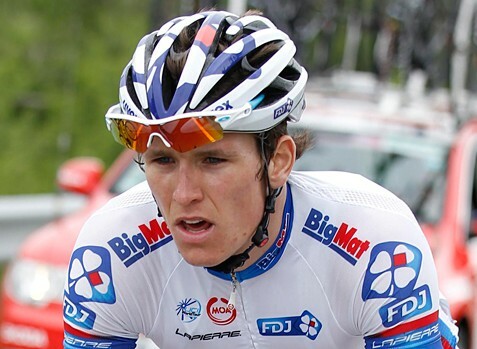 Zdenek Stybar (OPQS) also looked in fine form, while there may be the chance of Sagan springing a surprise next weekend. Though he didn’t quite manage to edge out Degenkolb today, he certainly seems in good enough form to challenge for the upcoming classics. Even though quite a few of the spring races are behind us, predicting the biggest of them all is as hard as ever. 3 – Degenkolb is the third German rider to win Gent-Wevelgem, after Marcus Burghardt (2007) and Andreas Klier (2003). 5 – This is Degenkolb’s fifth win of the season, moving him one behind Greipel and Alejandro Valverde (Movistar), who both have six. 15 – Degenkolb is responsible for a third of Giant-Shimano’s wins this season, with only OPQS (16) having won more than their 15.